for $519,900 with 4 bedrooms and 3 full baths, 1 half bath. This home was built in 1900 on a lot size of 100X166. 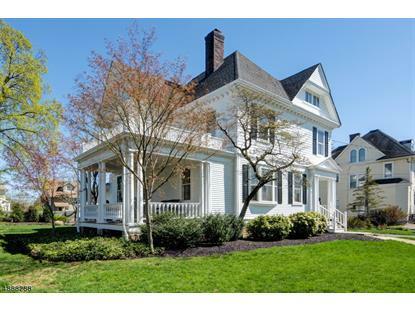 Quality And Elegance Can Be Found Throughout This Exquisite Turn Of The Century Classic Colonial. The Home Has Been Meticulously Updated And Lovingly Cared For. It Is An Absolute Showplace!! Situated On A Beautifully Landscaped Lot In The Prestigious Piedmont Section Of Town This Wonderful Home Features An Abundance Of Living Space Which Includes A 28'X19' Living Room With Built in Bookcases And Fireplace, Formal Dining Room, Completely Remodeled Kitchen With Breakfast Nook, 4 Large BR's, And Library. From The Minute You Enter The Grand Entry Foyer You Will Be Amazed By The Homes Character And Old World Charm. The Staircase Is Simply Stunning! Additional Features Include Custom Moldings, Period Lighting, Inlaid Oak Floors, Side Porch And Private Rear Yard With Paver Patio And Pergola. A Must See!